When was the last time you revamped you LinkedIn profile? If you're like most people, probably the last time you applied for a job. However, your LinkedIn can be more than an online résumé—it can be a powerful career tool. 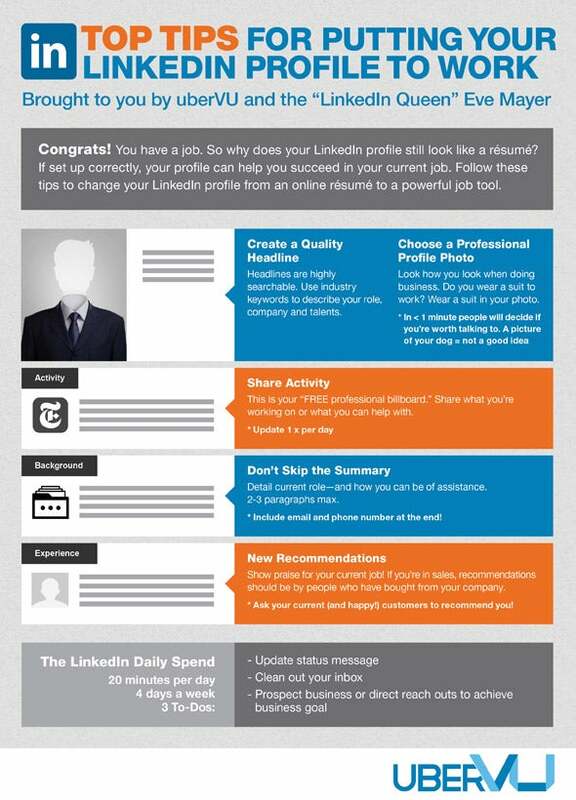 The infographic below, which features advice from self-proclaimed "LinkedIn Queen" Eve Mayer and social-marketing platform UberVU, offers tips on what LinkedIn users need to do to keep their profiles in shape. Check it out for advice on everything from how to choose a professional profile photo to how much time you spend maintaining your LinkedIn account each day.